Supple leather upper with neoprene stretch inserts. 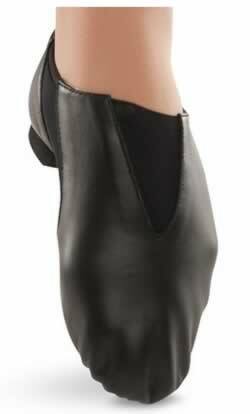 High arch lift with easy slip on-off design. Rubber contoured traction pad and EVA heel.